Buddha’s always on time, whereas I’m always on time at dinnertime. 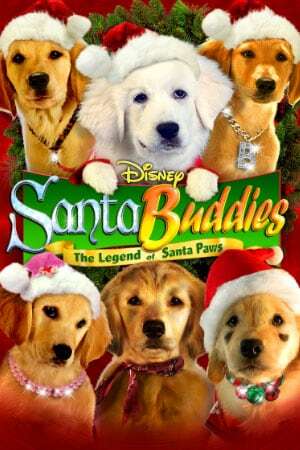 Santa Buddies, a movie about keeping Christmas spirit alive and the Puppy Paws and his buddies had to save Christmas. At the North Pole, a crystal is what keeps the spirit within the town of Fernfield and other surrounding towns. Because of the icicle melting and everyone losing spirit, they lost the true meaning of Christmas. The main theme of the movie is never forget unselfish spreading of love and kindness. In the end, Christmas wins. In Santa Buddies, the icicle melting was not the only conflict. Cruge also stole a few of the dogs and put them in the pound at night. The puppies stayed in the pound forever. Cruge did not have any Christmas spirit at all. He almost reminds me of the Grinch. Little Mikey prayed for a dog for Christmas and when he didn’t get a dog, he was so sad and Christmas Eve he prayed again for a puppy. While at the North Pole, Santa and Santa Paws noticed the reason no one was excited for Christmas is because the icicle was melting. The icicle is a symbol for Christmas spirit. Puppy Paws got his buddies together and they tried to save the Christmas Spirit. In trying, they succeeded. Skipping basically the whole movie and even a little more now, in the end, they saved the spirit. Saving Christmas caused Cruge to also gain spirit and realize it is not as bad as it seemed to him. He let the dogs out of the pound. He for some reason or another must’ve felt super bad or something, because he gave all of the puppies in the pound up for adoption for free. Cruge walked through the snow to deliver Tiny right to Mikey’s door. He rang the doorbell and ran. Mikey and his dad opened the door to find Tiny, the perfect Christmas gift, just in time to crawl into bed awaiting Santa’s overnight arrival. 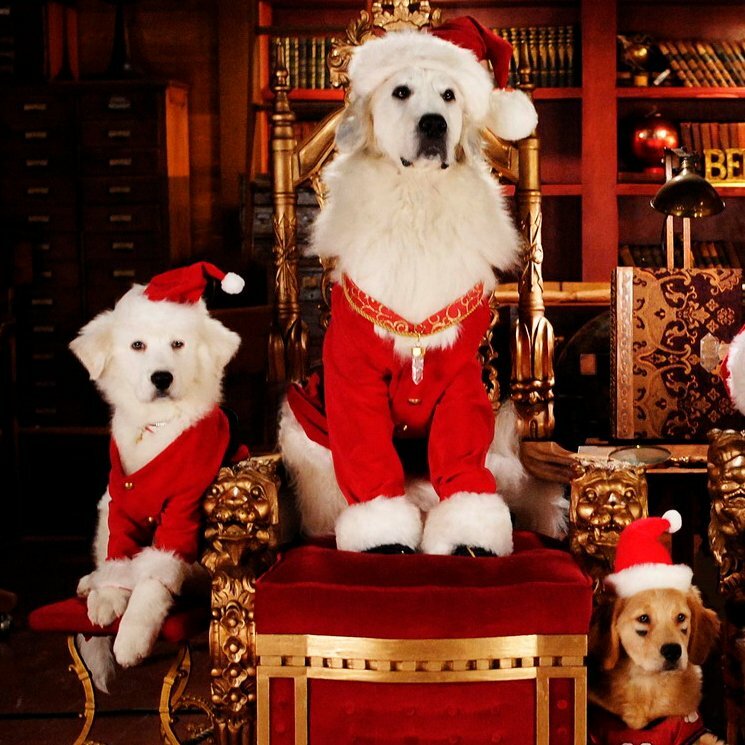 Santa could not get his sleigh to go, and luckily Puppy Paws and al his buddies were on their way. They somehow managed to fly their sleigh, so they delivered all the presents!!! During a special visit, they all went in and saw Tiny. He told them how happy he was to see them all and be home with his Mikey. The next morning, Mikey and his dad walked over to Cruge’s and invited him for dinner. He didn’t want to be a bother to the family so he said no. Mikey wanted him to come, so he convinced him. Cruge went to get his coat on and went over to the family’s house for Christmas dinner. The end concluded with a singing of Silent Night as a town, started off by Cruge. The theme is defined through the characters feeling and the plot. Cruge didn’t like Christmas, and everyone seemed unhappy after a while. The Christmas icicle melting wasn’t such a bad thing considering when spirit was brought back Cruge started to like Christmas. After you watch the movie too, you’ll agree that the theme is forgetting unselfish spreading of love and kindness, Christmas will win in the end. Second week of school wasn’t so much about a syllabus, the rules of the classroom, or even getting to know the classmates I’ve known and played the same ice breaker games with the past 12 years. It was more of legitimate work. In McGarry’s we learned about the elements of a short story. Most terms I was familiar with like antagonist, protagonist, climax rising and falling action. A new term I learned was milieu, which is the specific feeling of a specific people at a specific time. Two terms I never knew existed, but they really do in every story is a round and flat character. A flat character is a character with not much knowledge. You know the basics of them and that is all. The round character is the character with all the “juice” per say. It’s the character that has all the details and you normally know them inside and out. Usually the main characters are the round, while minor are pretty flat. The antagonist is usually flat, whereas the protagonist is round. In Butterfly Garden by Chip St. Clair, Chip is a round character. An example of a flat character would be Chip’s dad. Chip is the main character and well known by the reader. He is the round character because he is talked about the most in the book. You can infer that if he is talked about the most, you know the most about him. Chip’s father on the other hand, is not known about too much. No one is talked about as much as Chip in the story. His father isn’t the only flat character, but he is the more common flat character in the book. Of all the words, the newest term to me was flat and round characters. After learning this concept, I did not change my view of the story or at stories at all. As I didn’t change my view of the story, I did however change my understanding of why some stories only have very few major characters. The second week of school wasn’t much different from the first. We did more notes though and I didn’t want to fall asleep in class. Actually the more that I think of it, nothing at all was different. Only good part of the week was Friday because of football. We lost to Southern 49-0, but this week we play Warrior Run so I mean thats something to look forward to for the end of this week. Oh and can’t forget about NFL officially starting this week so I’m super super hype for that. Well I have nothing else to say, so ‘m not gonna waste your time reading this, or my time writing it so Liah D is out.